Kim Jones is the anti-influencer. Sure, she’s got all the signifiers of being an influencer, and a highly successful one at that—followers in the upper six figures, front row seats at the most coveted fashion shows, and high-profile collabs with legacy brands. A career built on being liked, in the quantifiable sense of double taps and thumbs up. Jones inhabits this rarefied space, one in which she is an industry leader yet clearly quite uncomfortable with the moniker. “It’s such a capitalist term,” she says, “coined because your job is purely to promote, to manipulate, and even exploit someone’s purchasing decisions. I hate that.” She prefers the term “digital creative” (more on that later), but most recently Jones calls herself an entrepreneur, having launched an e-commerce platform called The Fore. More than just another online venue to push products, Jones has charged The Fore with a sense of advocacy, collaborating with one designer each season to create a small, focused collection sold in limited quantities. The young designers she chooses all produce with sustainability in mind, having seen the environmental and social fallout of fast fashion around the world. With The Fore, Jones finds another outlet for her unbridled creativity, while independent designers get a huge boost on the back of her popularity and fashion cred. 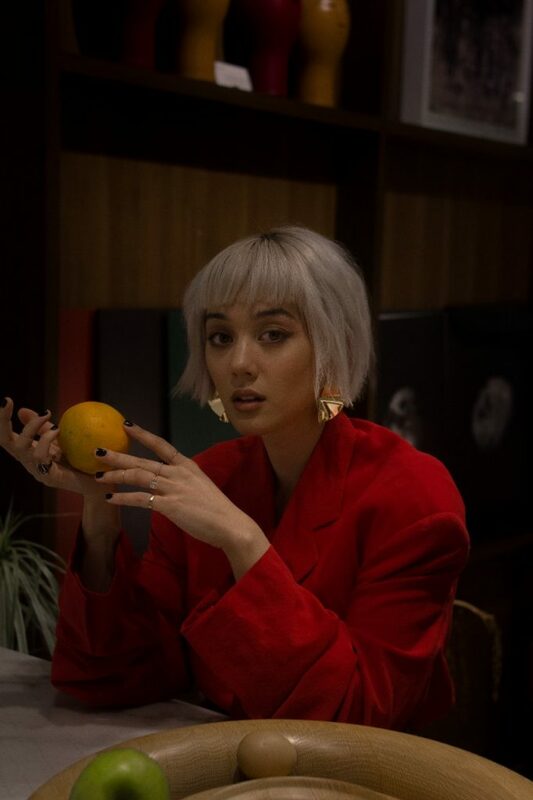 The Fore’s debut series, a set of bright, amorphous, configurable earrings, was made in partnership with Ken Samudio, an accessories designer whose background in marine biology informs the colorful, coral reef-like pieces created using upcycled materials. For the second series, which was just launched in November, Jones teamed up with Seph Bagasao, another emerging talent who is starting to get noticed in international fashion circles. The pair created a customizable collection of bags made with leather and climbing rope. “I love the idea of rope because it’s very malleable, flexible,” Jones says. “We named it the Apeiron collection, which is Greek for limitless. We wanted it to tie in—pun intended—with the endless configurations that you can do with these bags.” The ability to play around, arrange, and create several iterations of a product using a few base parts has inadvertently become part of The Fore’s DNA. Launching as a digitally native brand was one of her biggest challenges. As the pieces were designed to encourage “haptic responses,” Jones realized that they needed to present something tangible to the public. She held a month-long trunk show in Rockwell, as well as a pop-up in Cebu, where the maximalist earrings did very well. Less than 10 years ago, Jones was working as a bank teller in Australia, the country where she spent most of her life. Despite her artistic inclinations and precocious independence as a child, she gravitated toward the idea of stability that a career in banking represented. Then she woke up one day and realized she was numb: “I had a quarter-life crisis. So I bought a one-way ticket to the Philippines.” In Manila, she plied the modeling and TV hosting route for years until she reached a point where again, she felt the limitations of the job stifling her. Taking matters into her own hands, she taught herself how to take pictures and use Photoshop, and put up a blog documenting her travel experiences. Today, she styles and photographs almost all of her own shoots, a kind of Cindy Sherman of the Instagram generation, accompanied by candid, self-aware, and highly intellectual essays ruminating on consumption, technology, or the political climate. She wrestles, too, with the whole influencer culture and its inevitable backlash; as such, she has driven herself to be a content creator with a purpose. Jones’ stubbornness, which she attributes to being a Leo, has less to do with needing to control the output than it does with her refusal to cede creative input. Because of this, she ends up turning down almost 90 percent of the work she is offered. “I’m constantly against the grain. Perhaps it’s because of my background and what it took to get my career to where it is, but it’s also because I don’t like conforming. I have worked hard to set myself apart. I’m not just a face, I have an opinion,” she says. “Honestly, to just be the face of something is really boring.” Thus her relationship with Louis Vuitton—which she credits her career success to—is a unique one in the industry. LV has always encouraged her to be creative, and it’s this same art of collaboration that she brings to The Fore. 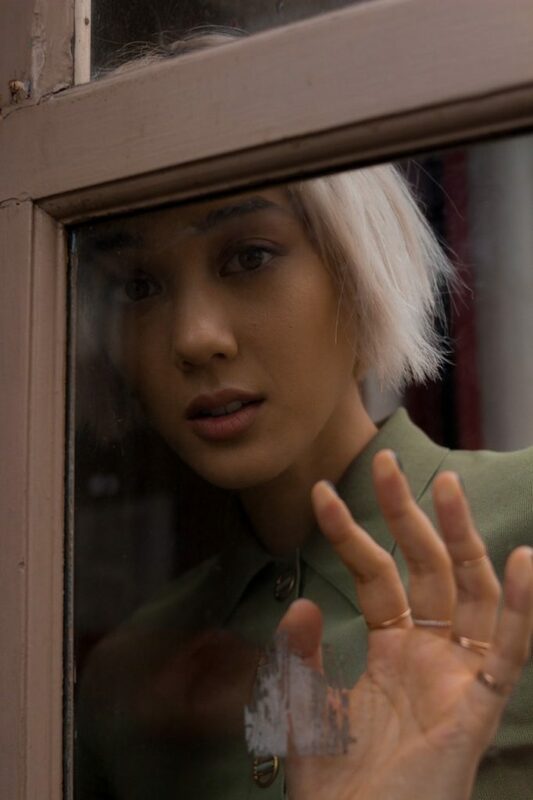 Last June, Jones released her directorial debut with Louis Vuitton, a one-and-a-half minute film titled Archetype, which she conceptualized, storyboarded, produced, styled, directed, and performed in herself. All LV did was fly in the clothes. It’s a dreamy work, inspired by the woodsy enchantment of the 1975 film Picnic at Hanging Rock, and the wild woman archetype as written about by Clarissa Pinkola Estés in Women Who Run with the Wolves. But the latter’s influence is a bit more subtle than Jones going all witchy Coachella in a forest. We see her character waking up in a forest, coming to a river crossing, finding a suitcase full of oranges, gorging on the oranges, running through the forest, waking up again in the forest. The narrative is anything but linear, and as a deeply personal piece of work, the film’s themes of rebirth and awakening echo the questions that Jones seems to be asking about herself and her own continuing evolution.